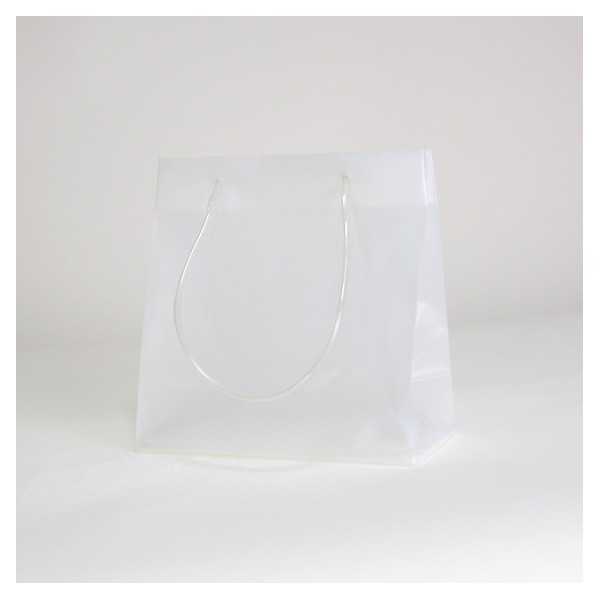 The NOBLESSE plastic bag is made from 150 microns translucent plastic. It features knotted translucent tubes handles along with side and bottom gusset. Upper edges and bottom are strengthened.